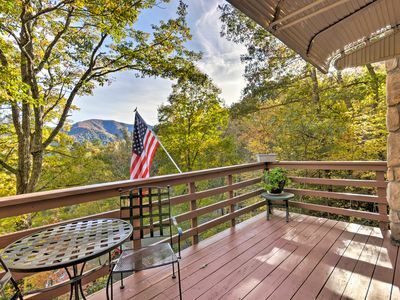 Book with confidence as we have earned the VRBO Premier Partner status. 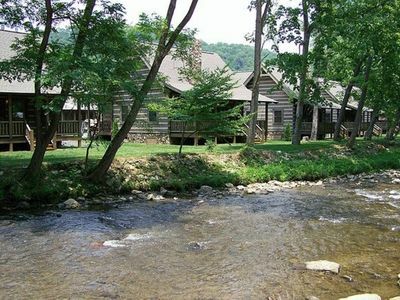 Beautiful cabin nestled next to a rushing creek. 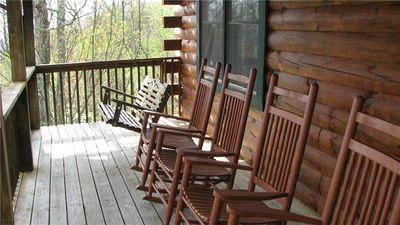 Relax on the large deck to the sounds of the water, so tranquil ! 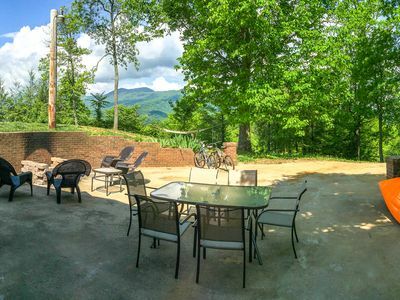 Enjoy the creekside firepit. 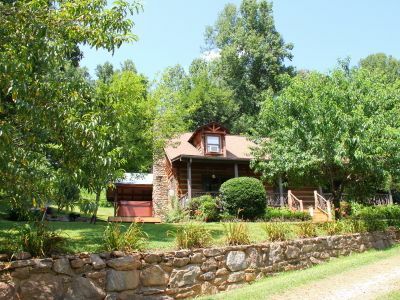 Situated on two lots so you have plenty of room for outdoor activities and enjoy the mountain scenery. 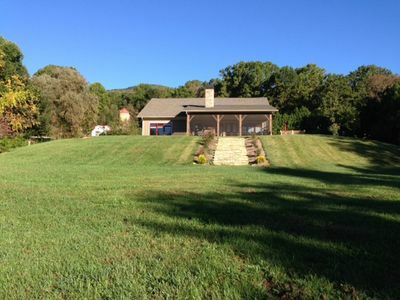 Great location in the heart of Maggie Valley. 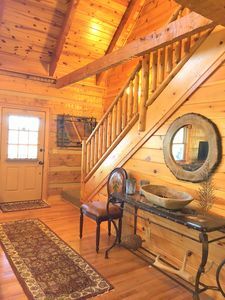 The vaulted ceilings and custom finishes in this fully furnished cabin are impeccable. 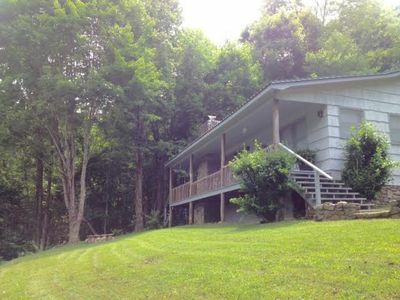 Super comfy 2 bedroom & 2 bath cabin with hickory hardwood floors, a fireplace and an amazing creekside location. 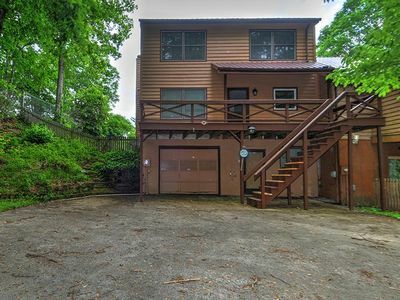 Master bedroom downstairs has King bed, upstairs bedroom is Queen size. 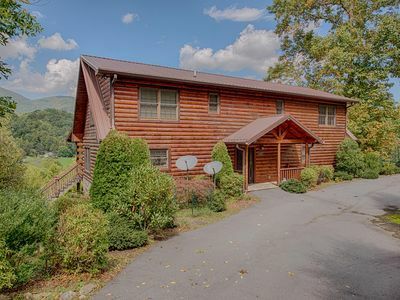 Located in beautiful Dogwood Trails, a small mountain neighborhood with gated entryway, a rushing stream and pavilion with firepit for your use. 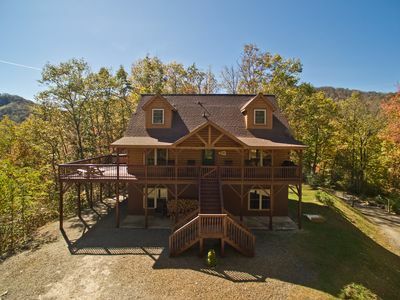 Only a 5 minute drive down the mountain on all paved roads to central Maggie Valley for area shopping and dining. 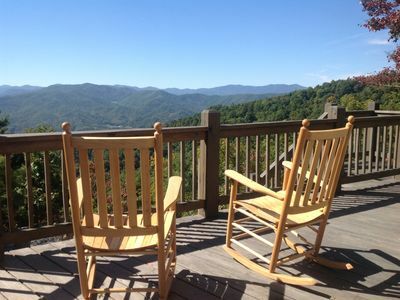 Just a 10 minute drive to the Blue Ridge Parkway, and 30 minute drive to the entry of Great Smoky Mountain National Park. 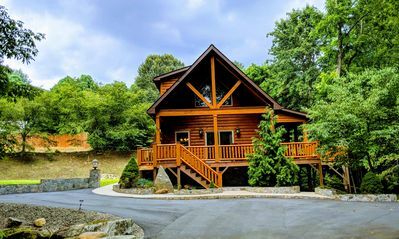 Our family to yours, beautiful mountain creekside location, awesome cabin experience with all the comforts of home, this will become your home away from home for great vacations again and again. Fast 200MB WIFI, HD cable TV featuring HBO. 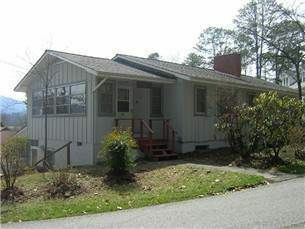 Central heat and AC, fully stocked kitchen, wrap around porch to enjoy the mountain scenery and cool mountain breezes. 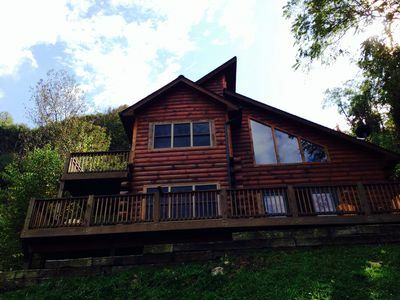 The cabin is clean and beautiful, very comfortable, and you will love the setting and location. 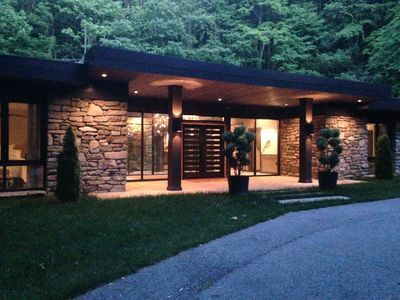 Casa De Vistas - A Frank Lloyd Wright inspired Mid Century! Bison Escape... secluded & peaceful! 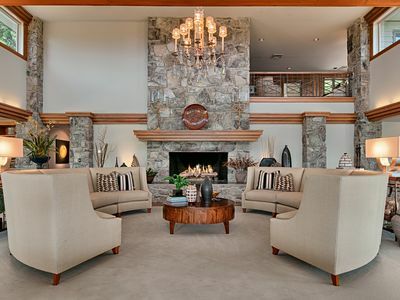 Huge gameroom! 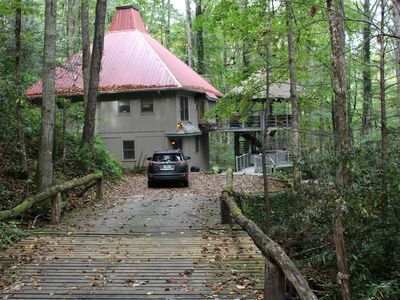 "The Loblolly" A Frank L Wright Inspired Warm/Mt Retreat" Golf and Mt Views". NEW! 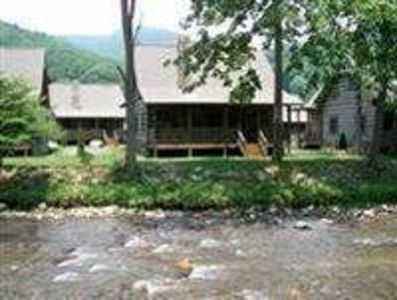 Maggie Valley Home 8 Mi. to DT Waynesville!